MacX DVD Ripper Pro - Powerful DVD decrypter and ripper to remove al the new DVD copyright protections, copy DVD to hard drive and rip DVD to MP4, AVI, WMV, MKV, MOV, MP3, etc with more output formats than RIpIt does. RipIt is another good DVD ripper for Mac that can extract all the video files from the DVD and save it to Mac's hard drive with all information included, e.g. subtitles, audio tracks, menu files, etc, thus you can save both your Mac's battery life and prevent your DVDs against scratch. It is favorable for its intuitiveness. Even the beginners can easily make a backup of DVDs on OS X. RipIt is also received high accolades among editors since it can deal with even the newer DVD copy protections, which Handbrake and Mac The Ripper cannot do. So even when you want to rip the new DVD movies, RipIt makes DVD rip as easy as possible. Below you can learn how to rip DVD on Mac with RipIt Mac version. Step 1: Free download and run RipIt on Mac. Make sure the DVD is clean without any scratch to ensure a proper DVD rips on Mac. Step 2: Click Rip to create a full DVD backup on your Mac's hard drive. Or you can hit Compress to rip DVD to iTunes format MP4 with smaller size, so that you can play it on iPhone iPad Apple TV. Step 3:Wait till the DVD rips finished. It takes about 30 minutes to rip a disc. For the compress part, the DVD ripping time is longer. Needless to say, the performance of RipIt is nothing short of stunning. However, there are still some drawbacks that you will encounter when using the DVD ripper Mac. - Firstly, RipIt Mac version plays a role of ripping DVD on your Mac computer and is only limited to ripping DVD to iTunes MP4, Apple TV, iPhone. For other format AVI, MKV, WMV, MOV, Samsung, Google Chromecast, etc, you have to turn to RipIt alternative for Mac to deal with the issue. - Secondly, RipIt Mac version only make a backup of DVD with everything preserved on Mac. For people who need to copy full title of DVD yet output file size smaller, or clone DVD to ISO image for burning, RipIt Mac version will disappoint you. - Thirdly, the DVD ripping time with RipIt for Mac is a little longer. Test from Macworld indicates it takes around 30 minutes to copy a DVD on Mac while compression takes longer. For some alternatives like MacX DVD Ripper, only 5 minutes will finish the DVD copying on Mac while less than 30 minutes to finish the DVD decoding/encoding on OS X. - Finally, RipIt Mac version consumes a lot of resources even with 4GB RAM installed, thus you will witness a big Mac slowdown and cannot do other tasks on computer. - What's worse, this program does not work if you are now using Mac OS X 10.11 system. In this case, are you searching for RipIt alternative Mac? Do you want to use RipIt lion alternative to put DVD movies you like on your Mac OS X El Capitan & Sierra? In fact, it is unnecessary for you to worry about these problems at all as long as you own this powerful and easy MacX DVD Ripper Pro, which is critically acclaimed for its simplicity, wide range of features and fast ripping speed. This alternative to RipIt also takes the upper hand against RipIt as it constantly upgrades to support the Mac El Capitan, including the latest OS X 10.12 and new iOS 10, helping you easily rip any copy protected DVD for playback DVD on iPhone 7/6S/6/6+/5S/5C/5, iPad/iPad Air 2/iPad Mini 3, iPod Touch 5. See the following tutorial about how to rip a DVD on a Mac. Free download and run this DVD ripper for Mac, click "DVD Disc" or "DVD Path" button to import the DVD on your Mac Lion. Click the "RUN" button to start ripping DVD with the RipIt Mac alternative. You can view the backup progress and are able to cancel it at anytime. Note: This alternative to RipIt has been updated to easily rip DVD on Mac, including the newest version El Capitan and macOS Sierra. After you successfully convert DVD to iPhone or iPad using the RipIt alternative, you can use MacX MediaTrans to transfer the ripped DVD movie video from computer hard drive to iPhone iPad and then play the movies on the move. It is one of the easiest and fastest file transfer & manager tool that tops alternative to iTunes list and enables to transfer data to iPhone 7/6S/6/5S/5, and vice versa. Find the Best DVD43 for Mac Alternative to Decrypt and Rip DVD on Mac OS If you are wondering a DVD43 for Mac alternative to do DVD ripping on Mac OS X. Follow the guide and know the best alternative for DVD43 Mac version that can both decrypt DVD copy protection and rip DVD to Mac (El Capitan), MP4, MOV, etc. Wanna rip protected DVD movie to MKV on your Mac computer? This article will introduce you an easy solution to get what you want. 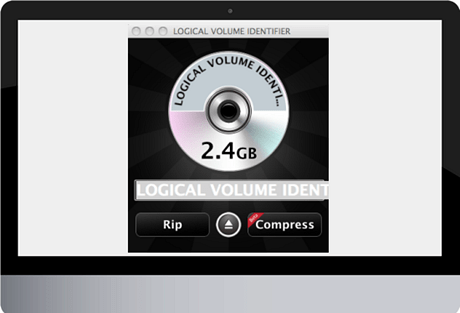 Just a few clicks, you can easily rip protected DVD movies to MKV, iPhone, iPod, iPad on Mac. Download DVD converter Mac for free to convert DVD movie into Mac as AVI, FLV, MOV, MP4, MPEG files or portable devices including iPhone, iPad, iPod, Android, PSP, Zune, Xbox.